The strong link between Man and Life has led to a selection of native Grape Varieties that the whole world can only appreciate in this small corner of Friuli Venezia Giulia. For four generations, Simon di Brazzan still has only one passion; trust. 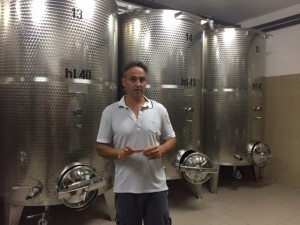 Daniele Drius inherited the Simon company of Brazzan and insists the wines are made with the same confidence that aroused his grandparents; producing a wine that creates almost a magical experience and seduces everyone. During the harvest, the vineyard is surrounded by unique scents and flavors. The value of the land, composition, layout, exposure and location have found a natural equilibrium with the succession of cultivation techniques. Vines, vintages and methods may vary, but determining the character of a wine is the task of the land. Considering the time spent, the time changing, and the seasons alternating, the vintages may vary. Here, tradition does not hinder innovation and defending the authenticity of our vines does not prevent the wine from evolving. In these vines one can read the history, culture and thought of Man in these lands. This message is another important factor that allows us today to realize our wines with excellence.